Book rooms to dream and live in. 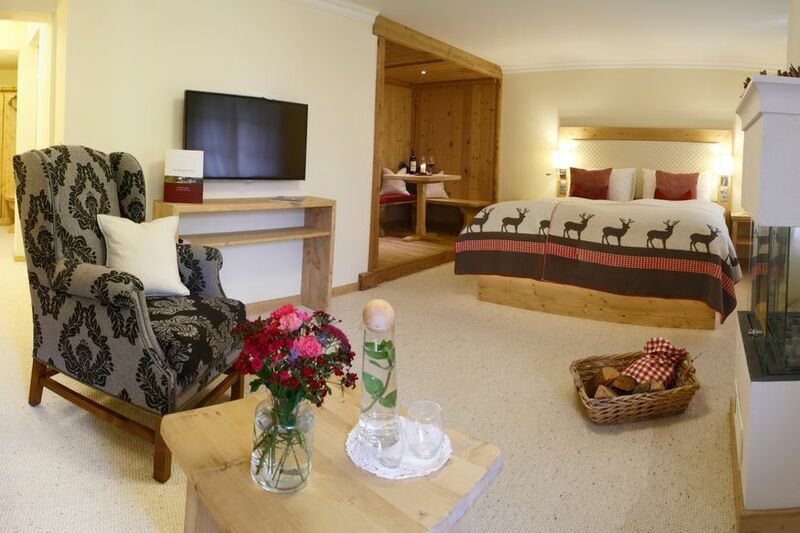 Every room has its own charm: classical Tyrolean country style and rustic furnishings. Or modern accents and design from Tiroler Adlerin. Distinctive: Tyrol is traditional and modern at the same time. And it's always naturally beautiful! 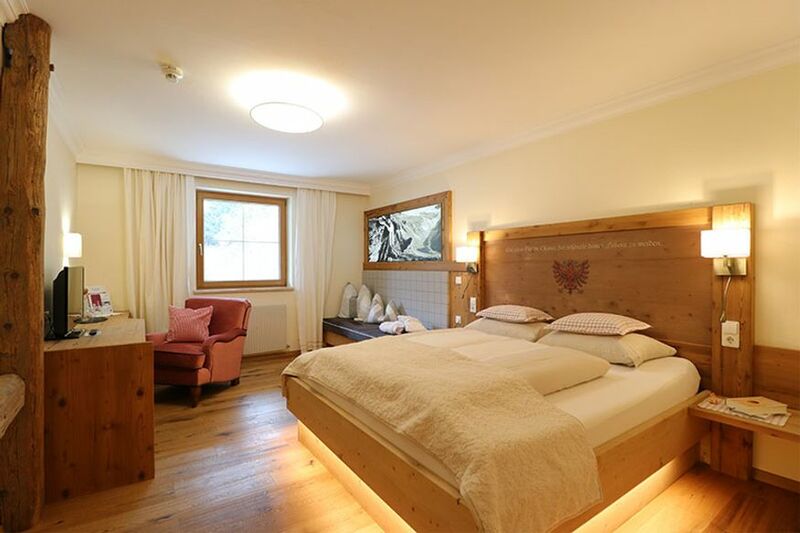 Step into our 4* Hotel Brandstetterhof in Karwendel, into rooms to feel good in. Feel the natural hospitality, the acceptance of modernity and a love of our region in the small hotel which is in close harmony with nature. And look forward to the many included services. Choose your vacation home from our rooms & suites in the Brandstetterhof. Prices/Visitor's tax: All prices are per person/day including gourmet board and the included services for a stay of 3 nights or more in Euros (excl. Visitor's tax of € 0.55 per person/day). 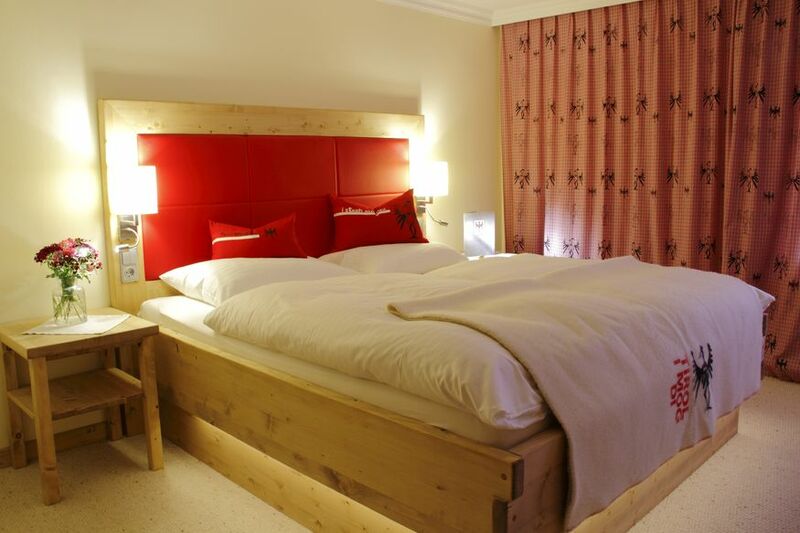 If you would like a room with breakfast only, the price is reduced by € 12.00 per person/day. Special meals: There is a surcharge of € 10.00 per person and day for meals for special dietary needs such as lactose or gluten intolerance. We kindly ask you to indicate the necessity upon booking. 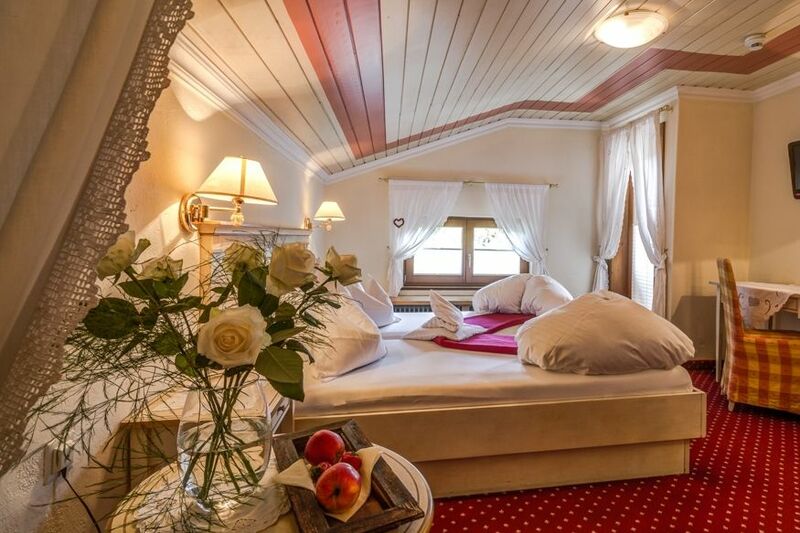 Amenities: All rooms and suites are equipped with a desk, TV/Radio, shower or bathtub, toilet, vanity mirror, hairdryer, cosmetic products (Nature from ADA Kosmetik). Our suites are equipped with fireplace and Tempur matresses. Rooms with fireplaces upon request. If you would like a balcony, we ask you to inform us upon booking. All the rooms and suites are non-smoking rooms. Pets: Please understand that we do not allow pets in our hotel & restaurant for hygienic reasons. Treatments: We recommend you arrange for desired treatments and massages at the time of booking to ensure an appointment. We will be happy to help you with your room and treatment selection as well as to answer any questions. You can reach us at: +43 (0)5242 / 63582. Especially high sleeping comfort with Tempur mattresses.